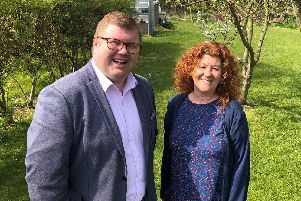 Action has been taken to ensure that waiting times for mental-health treatment for young people in Northumberland have dropped significantly. A plan was drawn up following a rise late last year and it has seen an improvement in overall performance, with the longest wait for treatment reducing from more than 30 weeks to 12 weeks. Those in crisis continue to be seen within 72 hours, although most are seen the same day, while the national targets are being hit for those with an eating disorder, a report to Northumberland County Council added. This was one of the key positives as Suzanne Barton, of NHS Northumberland Clinical Commissioning Group, presented an update on the 0-25 emotional health and wellbeing strategy to the council’s health and wellbeing board last Thursday (November 15). The strategy, which runs until 2020, has made significant progress with primary mental healthcare and joining up resilience, prevention and early intervention, she explained. Coun Scott Dickinson made the point that prevention is better than cure. “I was really pleased to see in here what the young people themselves want to see,” he said. “I really think there needs to be some more on the preventative stuff. “There could be such a significant impact so quickly and relatively cheaply by working with a lot of those organisations which work with young people.